The Israeli elections were not quite over as of Thursday morning, as the counting of some 400,000 votes of IDF soldiers, diplomats abroad, prisoners and bedridden hospital patients continued. The count is expected to conclude Thursday night. As of Thursday morning, Naftali Bennett’s New Right party had passed the electoral threshold by a 10th of a percentage point, but was still said to be several hundred votes short of entering the Knesset. With the New Right in the Knesset, Binyamin Netanyahu would have more options in forming a government, and would be able to conduct tougher negotiations with potential coalition partners who have already announced that they would set a high price for their agreement to join a government. If New Right does not enter the Knesset, UTJ could lose a seat anyway – to Meretz, which would bring the Likud and right-wing bloc down to 64, requiring Netanyahu to make more concessions to coalition partners. Part of the problem is an apparent computer bug that is not accounting for some 60,000 votes on paper ballots. Those ballots were not included in the database of all registered votes, and were not taken into account for the unofficial results that had New Right missing the threshold. 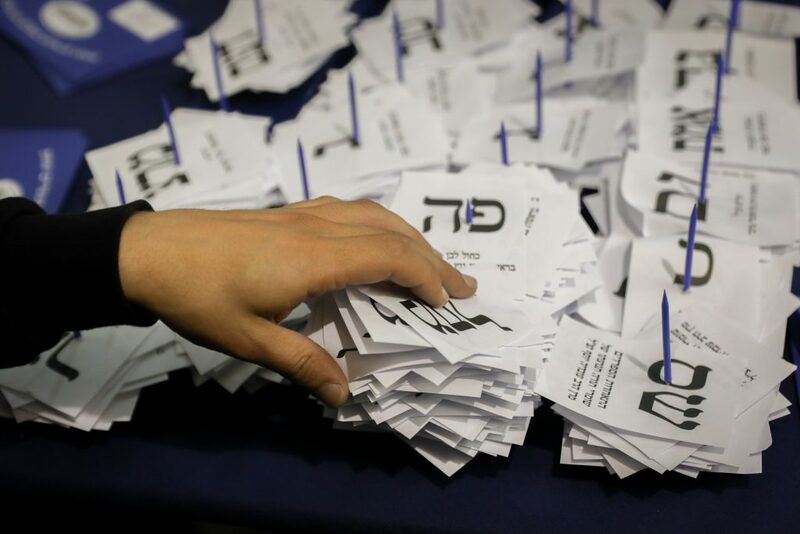 A total of 4,291,707 paper ballots were cast and were not disqualified for any reason, while the site of the Central Elections Committee lists a total of 4,231,424 votes, Yediot Acharonot reported.